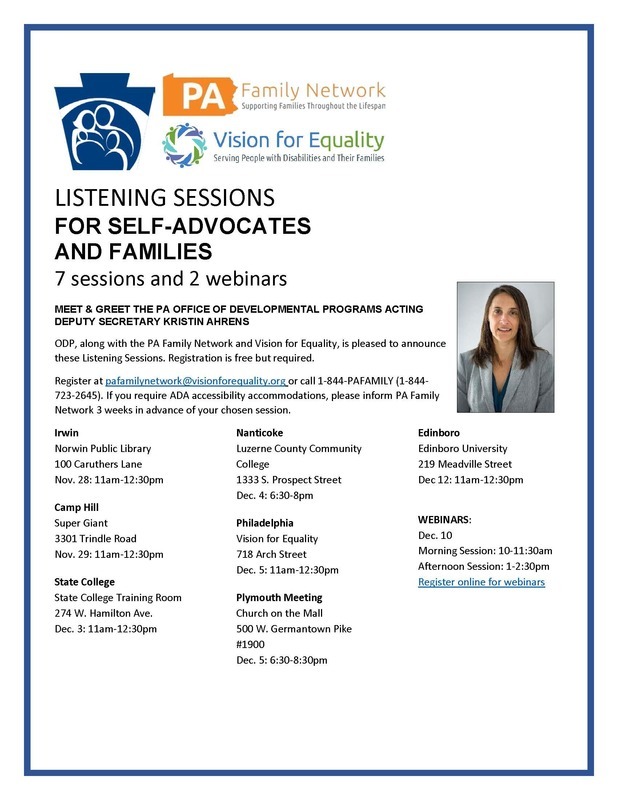 The PA Office of Developmental Programs, along with the PA Family Network and Vision for Equality, has announced a meet and greet listening session for self-advocates and families with acting Deputy Secretary Kristin Ahrens. There are seven in-person sessions and two webinar offerings. Registration is free, but required. Click on the flyer below to follow the links to register.